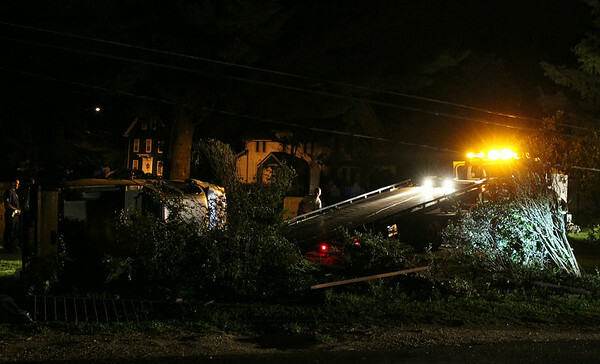 A tow truck shows up early Thursday morning to remove a truck which flipped over and through the fence of Greenlawn Cemetery. A second tow truck was required to remove the truck without causing further damage. DAVID LE/Staff photo. 8/7/14.